Air Canada is showing some pretty great prices on open-jaw flights between Regina, Hong Kong, and cities in China at the moment. You can find some really interesting prices if you fly from Regina to Hong Kong, and then return home from Beijing, China. Click on the departure date box to open up the calendar view and browse for cheap date combinations. Look for the dates that are in the range of $864 to $957 CAD roundtrip. 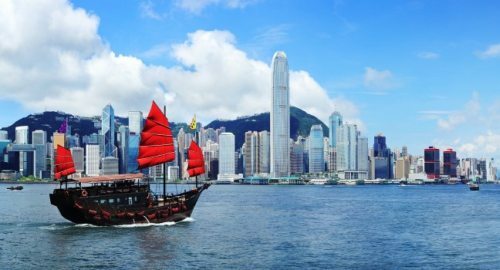 Use the same dates you found on Google Flights for a regular roundtrip flight to Hong Kong. After you run your search on FlightHub, try selecting '1 Stop' only flights on the left hand side (you may need to scroll down a bit).